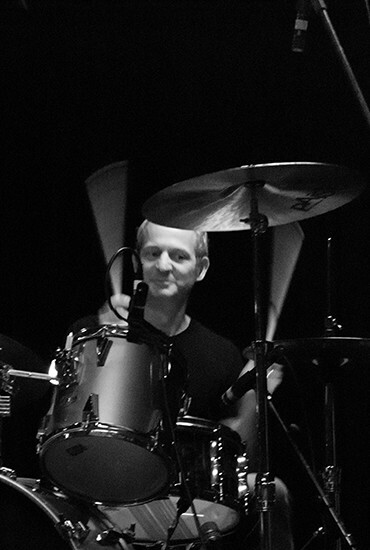 Dan Pred is the drummer in the Dan Reed Network, responsible for drums and drum programming. Dan Pred was born on November 19 1963, in Aberdeen, South Dakota, USA. Dan started on the drums in the seventh grade and played in the junior and high school band. Dan Pred first met Dan Reed in a music store – Engle’s Music, in Aberdeen, South Dakota in 1979. Together, they formed a band, ‘Nightwing’ and won the annual high school talent contest. Nightwing went on to perform in pool halls and at high school proms.In 1981, Dan Reed left for Portland. Dan Pred remained in South Dakota to finish high school. In 1982, Dan moved to Los Angeles where he studied at the Percussion Institute of Technology. Dan met up with Dan Reed again in 1984, when he finished studying and moved to Portland, joining the Dan Reed Network. Dan Pred has been the backbone to Dan Reed Network throughout their recording and live career. Following Dan Reed Network, Dan Pred and Blake Sakamoto joined Rob Daiker, in the band Generator, which subsequently became Slowrush, until management difficulties resulted in them leaving. They recorded two albums, one under each band name. Dan Pred, along with Blake Sakamoto, kept his close ties to the band. Dan started up a video production company, Videomedia. As a thank you to the Dan Reed fans, Dan and Blake produced and released the ‘Live At Last’ video and double-CD. With Videomedia, Dan left drumming behind. In 2007, Dan Reed Network were inducted into the inaugural Oregon Music Hall of Fame, in Portland, Oregon. Dan Pred and Blake Sakamoto accepted the award. When Dan Reed returned to Portland for solo musical performances, Dan Pred was often present at the shows. He would say that he was unlikely to play drums again in a full band situation. When Dan Reed announced the 2012 New Years’ Eve reunion show on stage at the Star Theatre, Dan Pred and Blake Sakamoto were on stage with him. Dan Pred still runs Videomedia, and has been instrumental in filming many Dan Reed solo promotional videos, Dan Reed Network live shows, promotional videos (including the new video ‘Divided’, and videos for other bands in the extended Portland musical family.